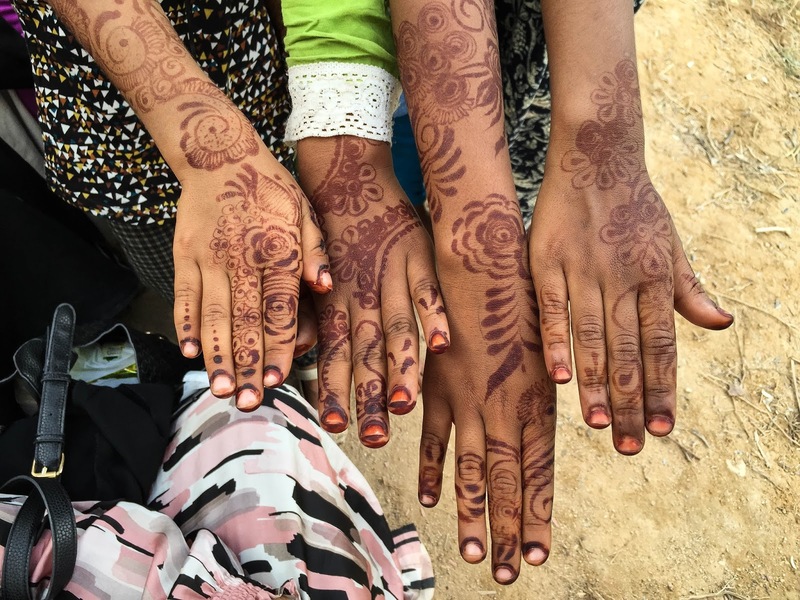 While these sweet girls wouldn't allow me to take their picture, they did allow me to photograph their hennaed hands. That must take someone with a lot of patients to create the effect. Great image. I've always admired henna hand painting, I can't imagine the time and patience it takes to do. Such lovely patterns. I had my hands hennaed a few years ago for a wedding in Morocco, it was a fun experience.